Whether it’s little dinner dilemmas, things to do, learning lessons, big female freakouts or just raving rants, get a little help from MamaChallenge.com. Life is already a challenge. Then throw in a family, work and all that other stuff, how can anyone measure up? That’s where the mamachallenge fits in…Looking to lose weight, something to do with the kids or gift ideas for your pregnant friend? Then you’ve arrived at the place to get your answers on all that and more – straight from another mom who’s trying to get it together (and keep it together) as best she can. Wanna learn more about Autumn Reo, the mama behind mamachallenge? Then keep reading! or are you a company ready to take the mama challenge? We’ve got the answer for you! Autumn Rose Reo is a 30+ year old North Texas married mom of a 7-year-old boy, 4-year old girl and a black lab. I work a lot in PR (promoting what I love), play a little (traveling, finding fun in my city & cooking), and in between, I write MamaChallenge.com as well as for Star-Telegram Mom2Mom, TodaysMama.com, Dallas Food Nerd and where ever else you ask me. And every once in a while I may even appear on your screen as a TV contributor. Connect with me across social media on Facebook, Twitter, Google+, Instagram and Pinterest. 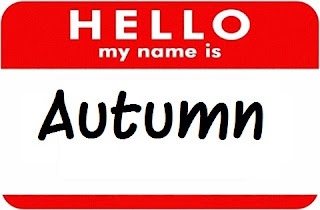 Or email me at autumn (at) mamachallenge.com. I’ve lived in Texas (almost) all my life and while I love to travel, I’ll always have my proud Texas twang. I’m not much of a foodie, but more of an eatie and am always in search of the best anything and everything. Thankfully my “real job” allows me to work with restaurants and events, so I usually know what new restaurants are opening and what you can do in DFW this weekend. Until I had kids, I was a career gal…Now with two kids I’ve learned the hardest job I’m ever going to have is raising them to be the best two people in the world. Or at least as good as I can make them. So I need all the help I can get. That’s kinda where the blog thing came into the picture…that, a degree in Journalism and a strong desire to connect with others while creating awareness about congenital heart defects since my son was born with pulmonary atresia. Then it grew from there. I’m interested in everything from A-Z when it comes to kids AND parents. From where to go for fun, the newest products and technology, how to feed the fam something tasty and healthy, and just how to be happy. My son loves everything from tech to cooking, my daughter just wants whatever her brother currently has, and mama is hoping one day she’ll finally figure out what she’s gonna be when she grows up…oh wait – I already have -grown up that is, but I’m always looking for my next adventure! Welcome to the MamaChallenge…it’s the hardest (and best job) you’ll ever have.